maximize its speed and evasion to avoid attacks.then power trick defense and attack.then you will have 614 Attack and 130 defense. Um... are you sure Togepi/Togetic/Togekiss can learn "Aura Sphere" ? Sky cooper - if going for rock polish, rock slide, eq, and bodyslam for for paralysis. Remember - rock polish involves switching his insane defense with his horrid attack. The speed is too low to serve a real purpose. I'd go with accupressure, if that was the case. This might be good, especially for a first try too. I suggest replacing dragon claw on groudon for thunder punch. At least put thunder punch somewhere on it. Last edited by Alkhazor on Fri May 04, 2007 1:17 pm, edited 1 time in total. HOLY CRAP I JUST REALIZED SOMTHING! 129 isnt divisible by four, if you do try to divide it by 4, you end up with 32.25! in other words, whenever we say EV= 252 spd, 129 atk, 129 def were wasting an entire EV! what we should do is decide which one is more important and give three to it instead of the other one! Please tell me you are joking and you don't actually think you are the first person to realize this. The total EV's are 510, which is not divisable by four. For whatever reason, Gamefreak decided that each pokemon will always have, at least, two EV's that are unnecessary. Also, an annoying Rotom like that wouldn't be very good: the burn side effect would reduce the power of the confusion, because it would be hurting itself in confusion but not taking much damage due to the reduced stat. Question : Why does Gastrodon have Waterfall on its moveset? Shouldn't it be Surf? Waterfall is a Physical move. Here, you can clearly see that Surf, which is Special, would take Gastrodon to it's full potential. I know this because I used Waterfall with it and it sucked. But, when I used Surf, man . . . I dominated. Torterra: That's a little close to the set I already have in there. I don't think anything needs to be edited though. The Obsidian Wolf: There's no confusion on the Rotom set. Either way, burn with confusion isn't terribly conflicting. Although burn lowers confusion damage, the Pokemon is still hurt by the burn. So unless you use both on something with a good attack stat and bad defense stat, it wouldn't be that bad. And it's not like you would always use confusion specifically for the damage; the inability of something to attack is quite good, too. The Gastrodon set is physical and thus has physical moves (Waterfall). This is to make use of Curse, which powers up the physical side. However, Gastrodon could just as well have a special set, so I'll probably edit one in later. How about this moveset for Roserade. Shadow ball, Sludge bomb, Energy ball and Leech seed. The Gastrodon set is bound to be something like that. I'll just get to it later. For Roserade, that's basically just adding Leech Seed to a special sweeping set. However, after double checking, I'll edit the current special sweeping set so that it can go without Sunny Day. 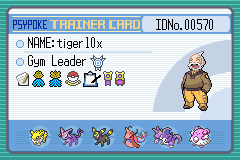 Tiger, I was just pointing out to Alk that his set for Rotom wasn't the best idea of his, and that the existing one would fine, but Alk deleted his post. If you check daveshan's post, you'll see that he's quoted Alk, but he failed to do the first bit he posted. Just clear up that confusion. Tiger edit: Well, that does make more sense. It is not possible to get 633 EV's. I'll get to it; thanks. Okay, point of Focus Sash is??? It prevents fainting when an ohko move is uded - sheer cold, horn drill, guillotine, etc. So, unless you know you are facing ohko'ers, it will serve no use, when compared to choice items. Focus Sash leaves you with one HP when you were about to faint and previously were at full health. It only works once and will only work if you are at full health. It does not specifically stop literal OHKO moves, but I guess it would work there, too. Basically, it gives Shedinja an extra turn which would be vital for the Swords Dance set. Either way, it just lets Shedinja last longer. Personally, I've been considering Swagger over Toxic. There's higher risk, of course, as the Swaggered Pokemon WILL be stronger. However, any Pokemon that'll be resistant to Toxic will also be resistant to Attack Order forcing a switch. however, Pokemon that are resistant to confusion can still be attacked by AO. So there's more general coverage against Pokemon that aren't resistant to Bug moves, and Swagger is still usable VS Pokemon Attack Order can't harm. Here's a moveset I've devised for Infernape. His role in my team is primarily the battling of Steel Types. So this reflects that. EVs Not sure on numbers but full Special Attack, lot in Speed, and some in Physical Attack. NP boosts Special ATK, if necessary. Flamethrower is primary attack move (again, for fighting Steels), Close Combat for STAB, and so Infernape's high ATK doesn't go to waste. Grass Knot is mostly Type coverage, as heavily damages several types Infernape is weak to (Water/Rock/Ground). The kabutops you displayed has a possibility of 2 watermoves, why? Edited a whole bunch of stuff; thanks for the input. sgamer82: Are you suggesting that as a standard or what? Either way, that's just mixed sweeping, and it doesn't make me feel like I need to edit anything. Kabutops might have two water moves if someone wants Aqua Jet specifically for its quickness and doesn't feel like X-Scissor or something. Either way, this is unlikely and doesn't mean that you have to do it. Now that you mention it, I may have slipped up. I went through the topic some and noticed people were contributing movesets so I tossed in one I thought was worthwhile. Didn't stop to think that they were being specifically posted for inclusion in the main topic. Just figured they were alternatives to the main topic. If I'm wrong, then I apologize for it and you can feel free to edit the comment if it does feel necessary after all. Som info about Ditto in Pokémon Diamond and Pearl it has been revealed that, if fainted while transformed, Mew or Ditto will still keep the moves they learned while transformed, thus making this very useful for breeding (in Ditto's case, not Mew's). Because Ditto can Transform into any Pokémon, except already Transformed Pokémon and Substitutes, it can have any moveset. Thus, a player can have their Ditto transform into Smeargle, who already knows the moves the player wants. Then, the Ditto will be defeated in battle. The player can breed this Ditto with a Pokémon and pass on the wanted moves to the offspring. Thus, any non-legendary, non-baby Pokémon can receive a custom moveset, without the player paying for valuable TMs. That is just impossible, PHANTONY.